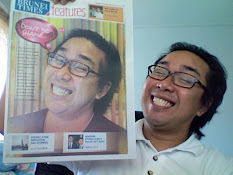 Suzuki Celerio A+ & Acer Iconia Tab 8W, Double the Fun!! Boustead Sdn Bhd and Concepts Commercial Suppliers have signed a Memorandum of Understanding (MoU) today at the Concepts showroom in Kg. Kiulap to signal the start of their collaboration effort. 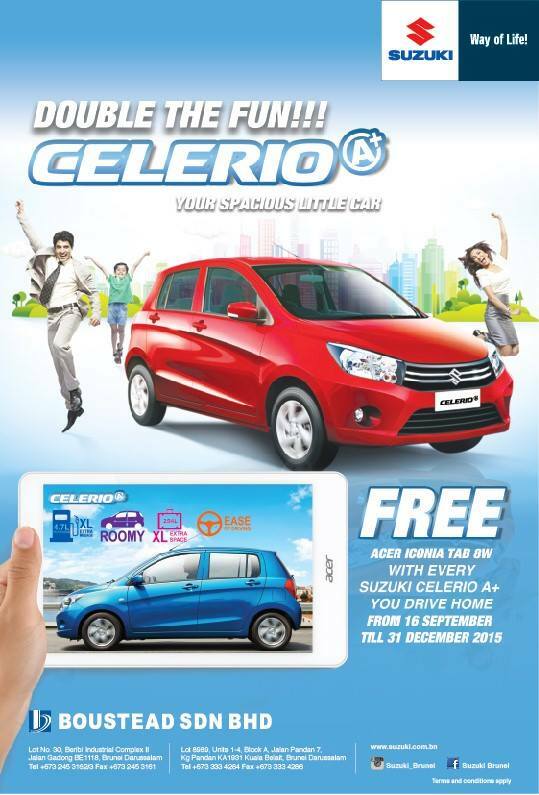 In this latest promotion, any customer who purchase a Suzuki Celerio A+ from Boustead Sdn Bhd will be entitled to receive a new Acer Iconia Tab 8W. The main idea behind this promotion is to reward customers with an instant gift that comes with their purchases in the hope that this will help to create customer loyalty and at the same time promoting the corporate image of both companies. Suzuki Celerio, also widely known as A+, is the latest model of Suzuki line up that offers design, style as well as practicality in one package. Equipped with a 1.0 litre engine, Celerio A+ is available in two different transmissions, MT and CVT that suits customers’ preferences. Designed with the concept of ‘small on the outside, big in the inside’, Celerio A+ offers ample of room and storage spaces that belies its appearance. Fuel efficiency is yet another selling point as this car can go up to 21.27 km of journey with every litre of petrol! The new Acer Iconia Tab 8W, which is currently one of the top selling tablets, is equipped with the Windows 8.1 and a one year subscription to Office 365. 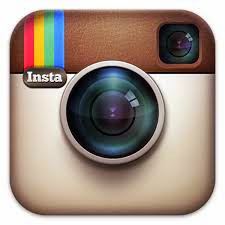 This has enabled users to combine work and play with a single device that is multi-functional. Furthermore, Concepts Computers is offering a 1 year warranty for this tablet that comes with long battery life. 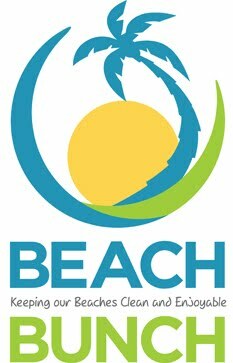 Mr Vincent Pao, General Manager of Concepts Computer, agrees that this is a win-win situation for both companies as it will help to attract an alternate source of customer and at the same time increase the exposure of both brands. He further elaborates that the two products are similar in a way that both offer Value for Money purchases and that is why he is confident that this joint promotion will work. 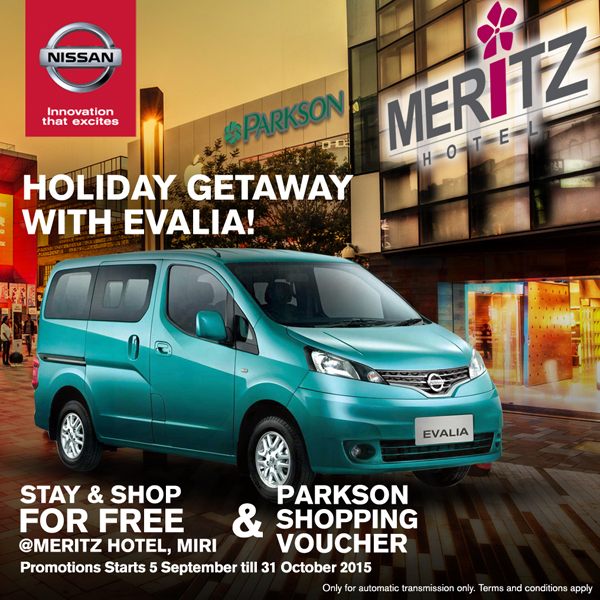 This promotion will start with immediate effect and valid until the 31st Dec 2015. Drop by to the nearest Suzuki showroom or Concepts Computer showroom to find out more about this latest joint promotion. Suzuki will also be holding a roadshow at City Square from 24th to 26th September and the public is welcomed to stop by and try their luck with the ‘lucky dip’ activity. 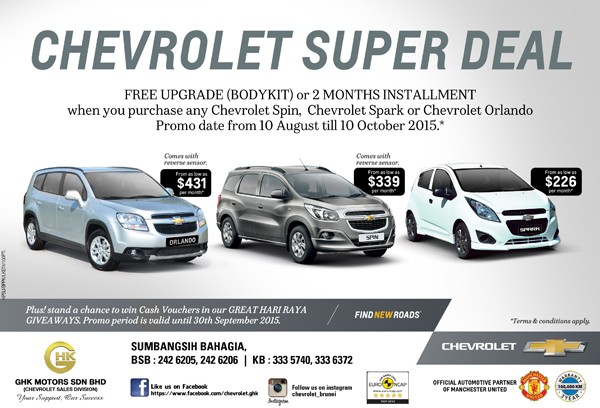 Find new roads at the Chevrolet Roadshow Chevrolet Orlando and Spin on displayThere are times when things do not go on your way and the only way out is to find your own way or as Chevrolet says, “Find new roads”.Visitors of The Mall in Gadong will have a chance to do so by visiting the Chevrolet models on display in front of the Giordano outlet this weekend.Featured will be two cars that can bring your whole family together, literally, in one car. The entry-level Spin and the rugged and multi-purpose Orlando, both seven-seater MPVs that are affordable and a favourite in the local community, will be on display.The mini Chevrolet Roadshow will be held from 11 to 13 September 2015 at The Mall and anyone who books or buys a car there will be entitled to the Chevrolet “Special Deals” which allows the owner to throw in a set of sporty and aerodynamic body kits in for free or opt for a 2-month free instalment plan. They will also automatically enter into the GHK Motors Sdn Bhd “Hari Raya Giveaways” lucky draw promotion standing a chance to win up to $12,000 cash voucher.So if you are in the market for an affordable seven-seater MPV, head down to the mini Chevrolet Roadshow at The Mall in Gadong to find out which model suits you and your family best.For more information on Chevrolet in Brunei, follow Chevrolet Brunei on Facebook and Chevrolet_brunei on Instagram @chevrolet_brunei And for further inquiries, call us at 2426203 and talk to our knowledgeable sales executives. 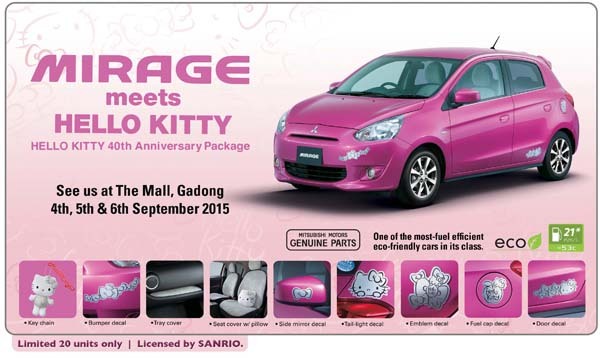 GHK Motors Sdn Bhd presents a wonderful “Hello Kitty 40th Anniversary Package” to customers who purchase the Mitsubishi Mirage. The very affordable Mirage which is prominently known around the world for its superior fuel efficiency boasts a 21km/liter fuel consumption and is one of the best in its class. The Mirage cabin features a Piano Black style interior, with silver decoration mobilized to generate greater luxury from all standpoints and making each drive a sheer joy.